At times flex circuitry can be damaged or cut when trying to place in to another sub-assembly or place it into an enclosure. While the IPC 7721 “Repair of Printed Circuit Board Assemblies” deals with the repair the physical damage repair of printed circuit assemblies, namely on rigid boards, some of these same processes can be used or used in a modified format when a similarly damaged flex circuit needs to be repaired. For example the same process used for the repair of a land that is laminated to the laminate on a rigid board cannot be used on flex circuit. The most common types of damage in flex circuits includes ripped or cut flex material, heat damaged/lifted pads and damaged conductors. Ripped or cut flex material can be repaired through the use of adding in replacement Kapton™ or supporting and gluing the areas that have been damaged. 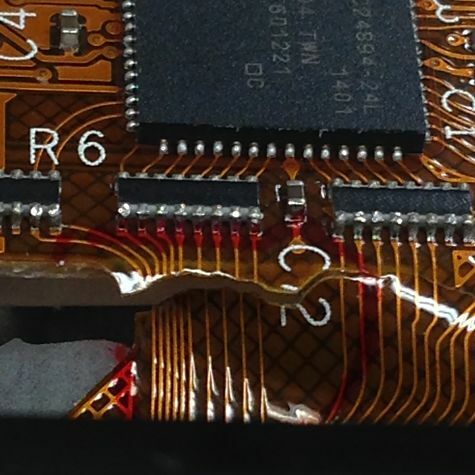 BEST PCB repair artisans have experience in the repair of each of these type of these flex problems.Lifted pads and conductors can be put back in place and epoxied in to position in order to get the flex assembly back in to a function condition. 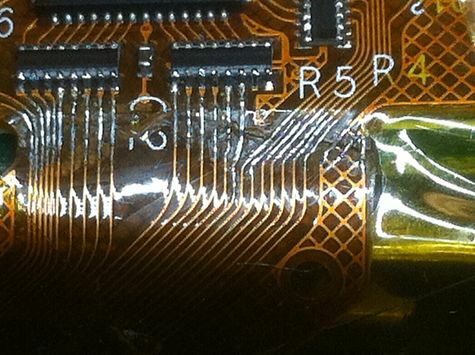 Flex circuit repair requires careful and meticulous work as the Kapton™ flex circuits are susceptible to being ripped and damaged as they thin. If your flex circuit repair project requires the precision machining of the flex material then BEST Inc, is your choice for flex circuit repair. We have several lasers on site that allow us the precision cut, score and inscribe flex materials. We have been working on Katon™ laser machining projects including flex circuit repair for nearly10 years. BEST Inc is your source for these type of machining projects. BEST can make sure that your flex circuits are functioning again. We have the skill and experience to “make the circuit work” which is a requirement for repairs. Call BEST Inc. at (847) 797-9250 for your flex repair projects. Thank you for your hard work and patience, especially throughout the design phase.